The decision to buy is always an emotional decision. Extensive studies using neuroimaging have proven that the same areas that light up with electrical impulses when we encounter family, also light up when we encounter familiar brands. Even more incredible, studies done on people with damage to the areas of the brain that produce emotion, show that when a person doesn’t know how they feel, they have no desire to buy anything. So, if we see about 5,000 ads a day, and according to studies, we delete from memory 99% of them, what do we see in those 3-5? Name. Tagline. Logo. So, what’s the best way to emotionally connect your brand to your customers? Today, we are going to dig deep to uncover the root of emotional branding. I’m going to provide you with Four Ways to Make Your Brand More Emotional, so you can Come Out of Nowhere and Be an Inspiration to Millions. When I think about roots, I always think about the incredible Aspen tree. Aspen trees better their surroundings by providing many valuable services to the lives around them. They are resilient to changing climates and extreme temperatures. They stand tall, and remain flexible enough to bend without breaking under heavy boughs of sleet and snow. Looking out across any aspen-forested mountainside, there are more trees than can be counted! Each of them unique, in ways both subtle and blatant. One is larger than all the others, another has several nests tucked in its branches. One has grown straight as an arrow, another has developed a few twists and turns in it’s ascent. One is deep verdant green, another is splashed with bright shades of yellow. So different, so individual, and yet still obviously a part of the same family. But Aspen trees are connected by more than just genomes. On the surface, these Aspen trees appear to be separated by their differences, each of them together, but still standing alone. But when you dig deeper, and look beneath the surface, what you’ll discover is that they are all inseparably connected by their roots. Dig deeper still, and you’ll find that these roots are so intertwined that these vast forests of Aspen trees are actually one enormous organism. Another surprising finding, is that these trees communicate with each other by using their root network. They “talk”, and if a wildfire sweeps through a part of the forest, the aspen trees 100 miles away “know” about it. The trees reach out above the surface independently to seek sustenance for the entirety of the organism, while the roots reach out below the surface to connect and support growth, ensuring the survival of each individual tree. As human beings, we too appear to be standing alone, separated by our differences, and yet just below the surface lies an inextricable desire to feel connected to one another, and contribute to the growth and survival of one another. Those who deny this inextricable desire within themselves, struggle to find or take any satisfaction in their lives. In truth, we are all connected, and I mean that quite scientifically. I find great joy in thinking about how we are all connected to one another in this irrefutable way. Sometimes we need scientific proof. Molecularly, there is literally no empty space between you and I, even in this very moment. We may not be able to see molecules of carbon and oxygen, but they certainly exist, just as we do. And while the space between us may appear to the naked eye as being what separates us, this space is in fact, quite literally what connects us. Through this space, just like the roots of the Aspen trees, we are constantly sending out energetic and emotional waves of communication. Human beings are emotional, the decision to buy is emotional, and to connect with customers, so too must a brand have emotion. Human beings want to feel good about themselves; their choices and they want to know they aren’t alone. When deciding to buy, the product or service is always secondary to the sense of personal connection created by a shared emotional experience. There will always be a consumer demand for anything that creates a sense of connection. Whatever that product may be, we want it. We need it. All of us do. So here is the million dollar question: What is the emotion that connects your customers to your brand? I want you to keep this question in mind as we walk through The Four Ways to Make Your Brand More Emotional. At the end of our walk and talk, I’m going to ask you to name the specific emotion that is at the root of your brand. Keep in mind that an emotion is something you feel. (Desire, comfort, pride, joy) You would be surprised by some of the answers I’ve received upon asking clients what emotion they want their brand to create: The most common answers I get are the emotion of “Quality” “Fast” “Value” ” “Convenience”. These words describe the product or just a singular function of the product. They are not emotions. When we know, when we can name the emotion our brand evokes; our brain lights up in our ideal individual’s brain, and we can map out a clear direction for our brand story. When we can name the emotion our ideal individuals are buying from us, we have our true north, we have our indisputable navigation system that will always protect you and your business from straying from your brand’s core values, and from finding yourself in hot water with the market. Your brand’s emotion is the connection that takes roots into to their heart..that takes hold and bonds. The emotion shared through those roots will connect your customers in a way that keeps them loyal to your brand. No matter what your business, Brand Loyalty is your business plan. It’s one thing to get someone to buy one thing from you, it’s a business to make a relationship that lasts for their entire lifetime and for generations to come. So let’s jump right in together! Here are The Four Ways to Make Your Brand More Emotional. Make a promise, and keep it. Get out of your head and into theirs. Use attraction, instead of promotion. Stop assuming and start listening. Make a promise, and then keep it. We want customers to build a relationship with our brands, and relationships are built on trust. To establish a long-term, rooted connection to your customers, it is vital that you lead with the truth. Your brand promise should offer a greater future. A greater future could be health- related, relationship-related, career-related; in whatever area your product is capable to be of service, let your brand show the potential of a greater future to your customers. Create the mindset of potential in your ideal individual’s mind; transport them from sick to healthy, poor to wealthy, from depleted to energetic, from flabby to fit, from newbie to mastery….Whatever greater future your product or service has to offer, may it spark the imagination of potential in your ideal individual. When you connect your customers by a shared desire for a common goal, you show them they aren’t alone in this world. That is a promise bigger than any product anyone could ever sell, and it is always true. Don’t sell them something. Show them they aren’t alone in wanting and needing more good in life. One of the most emotionally inspirational songs of all-time (also in the top five favorite karaoke choices), is “Don’t Stop Believing” by Journey. Can you already hear it your head? “Strangers waiting up and down the boulevard. Street lights, people living just to find emotion hiding somewhere in the night. Why do so many people connect to this message so powerfully? Why do our hearts collectively well up with the resounding thrill of redemption and triumph over adversity, whenever we hear even the first few bars of this iconic song? Because… it lets us know we are not alone. And most importantly, because deep down we all know it’s true. And I can think of no better example of a great brand who has accomplished this better than Nike. Nike’s slogan, Just Do It, showed us that Nike wasn’t just a running shoe company, wasn’t selling fast, or value. They are a “you can do it” company, they are selling inspiration to become who you want to be. But Nike didn’t get there overnight. Before Just Do It was born, Nike was just a small niche running shoe company that only attracted male athletes. The year before Just Do It, Reebok was nearly putting Nike under, simply by having an “aerobics shoe line” that was appealing to women. Think of that! Nike was failing The Blink Test for over half the population; Women. And especially in the 70’s, women were doing more of the shopping. But that’s not the only demographic Nike was failing the blink test with. Obesity was sweeping America even back then, and Nike wasn’t making anyone who actually needed to be more active and healthy feel wanted at all! Nike went through several marketing overhauls, where they stated and restated the ways Nike made a superior product, why their materials were best suited for runners, why their design made them the best choice for the runner’s body…. But it wasn’t until Nike finally asked themselves: Why are these people running? Where are they trying to get to? What moves them? Within a year, Nike was receiving fan mail, sharing about how the slogan motivated them, not just to meet their fitness goals, but to make positive changes in all aspects of their lives- everything from just going to the gym everyday to just leaving an unsatisfying job, to getting married. Nike could have never planned for this outpouring of emotional gratitude because it spanned so far beyond what a running shoe can do for a person. It became the root that connected us all to Nike and to our greater future. That is the power of emotional branding. So go ahead JUST DO IT. Get emotional. Putting yourself in your customer’s shoes means asking yourself what the emotional reason is behind why someone would want to own your product. Not why you want it, nor why you think they should want it. What Nike realized was that people weren’t just buying running shoes, they were buying an identity for which they could be proud. They were buying the potential of becoming something more. Just Do It, stirred within their customers the belief that they could do anything. Just Do It, created a mindset of expanding possibility. A greater future. Name the greater future your product or service leads your customers toward, and stay true to that always. Promotion is telling people about all the technical, and feature-based aspects of your product. Attraction is showing them the greater future that awaits them, when they align themselves with your brand’s core values. According to Wikipedia, The Law of Attraction is the belief that by focusing on positive or negative thoughts, people can bring positive or negative experiences into their life. Attraction is a super-power. Promotion is an archaic and uninspired method of selling someone something. Have you ever came across a great new product, or a mind-blowing song, or a life changing book, and you couldn’t wait to tell someone else about it? Even more than just telling them about it; you wanted to be the first to show it to them. When you did show this awesome product to someone else, and they loved it too, did you feel a sense of pride that you were the one to share something that had a positive effect in someone’s life? This is the experience that consumers of tomorrow, are looking for today. Attraction generates enthusiasm. Attraction inspires the imagination to explore the possibilities of a greater future. Attraction shows new customers that they can expect the same great results experienced by already loyal customers. In today’s fast-paced, multimedia market, material satisfaction is no longer difficult to attain. If you can google it, and you can afford it, you can buy it, and have it on your doorstep within 48 hours. Promotion is dead. Emotional fulfillment is the new hot item. The consumer market is now alive with people who expect brands to inspire them so much, and represent their values so completely, that being a customer is a source of self-identity. Customers want to be able to tell other people about a brand as though it’s their hometown, and no one knows it better than them. And that is just fine with me! Word of mouth advertising is shown to be 50X more effective than any other form of advertising possible. Consumers want to be inspired to self-identify with the products they purchase. This is only possible through a brand that connects with them on an emotional level. Branding is always a conversation, never a dictation. As a brand, the most powerful way to make your customers feel like you know them, is to make them feel heard. So listen, and then listen some more. The brand that knows them best, is the brand that wins. The best relationships are with the people we feel know us best. I mean, really know us. And when we are with them, we feel like ourselves and often our best selves! When someone thinks our real self, the unguarded and unpolished self, is in fact our ideal selves we fall madly in love with them. The brand that shows us our true self is ideal, oh we never want to leave that brand. We are so proud to wear, eat, drive, use, that product. We are so into it we are telling everyone about it…. 50x more likely to buy from Word Of Mouth Advertising… Seems like a very wise investment to listen. When we listen to our customers, as them engaging questions, and encourage them to interact on meaningful topics that are relevant to your brand’s values, rather than just the products, your customers will feel like you really care. Human beings have intrinsic value, that is to say we are all deserving of love and respect, because life is valuable and meaningful. Listening to your customers will resonate deep within the language of universal truth; the language that connect us all. When people connect emotionally to your brand, they are essentially endowing it with the value of another human being. Aim your brand to be the best listener, and your customers will feel heard; they will feel as though your brand knows them personally. And, Stop Assuming and Start Listening. So here it is, you knew it was coming! 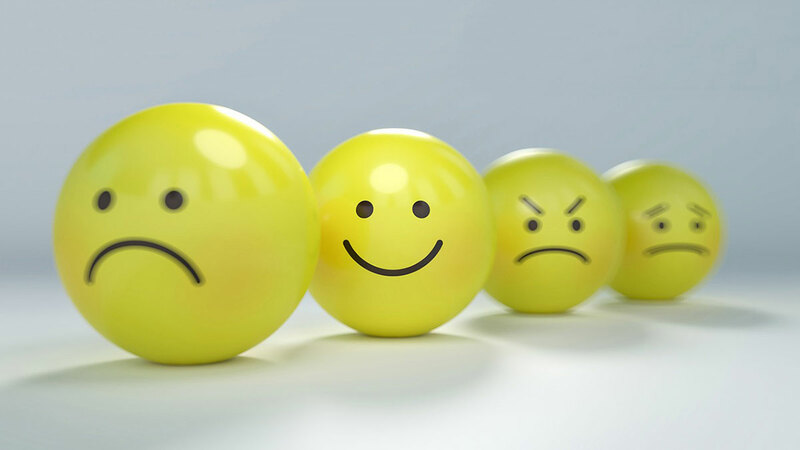 What is the emotion that connects your customers to your brand? Identify the emotion you want your brand to inspire, today. Make sure it’s an actual emotion, something that can be felt from deep within. If you are having trouble identifying your brand’s key emotion, start at the root; your brand’s core values! Let them guide you deeper into the heart of humanity. Be still, listen, and allow the answer to reveal itself to you. When you find it, you will feel it. Once you’ve identified the emotion your brand is creating, run it through The Four Ways to Make Your Brand More Emotional. Thank you so much for connecting with me, as we explored the deeply rooted connections that can only be made through emotion! At the root of all emotion, we are bound to find love, so as you reach out to connect to others through your brand, always remember the golden rule: Love What You Do, and Love How You Do It!